Amazon Fall Affordable Fashion Finds & My New Bracelet Stack! Hi friends!!! Surgery day! Yuck. As you are reading this, I am hopefully sleeping in and then getting ready for my 12:45pm surgery. I cannot eat or drink anything after midnight (last night) so Mark is letting me sleep in. Woot woot! That is almost worth having surgery just for those few extra hours of sleep! Kidding. Kidding. Like I chatted about before, I am having a uterine ablation so fingers crossed it works and “cures” my anemia. I am sooooo freaking ready to get this done and hopefully be on the path to normal iron levels for the first time in a very long time. I will be sharing my full experience on the blog once I am recovered! 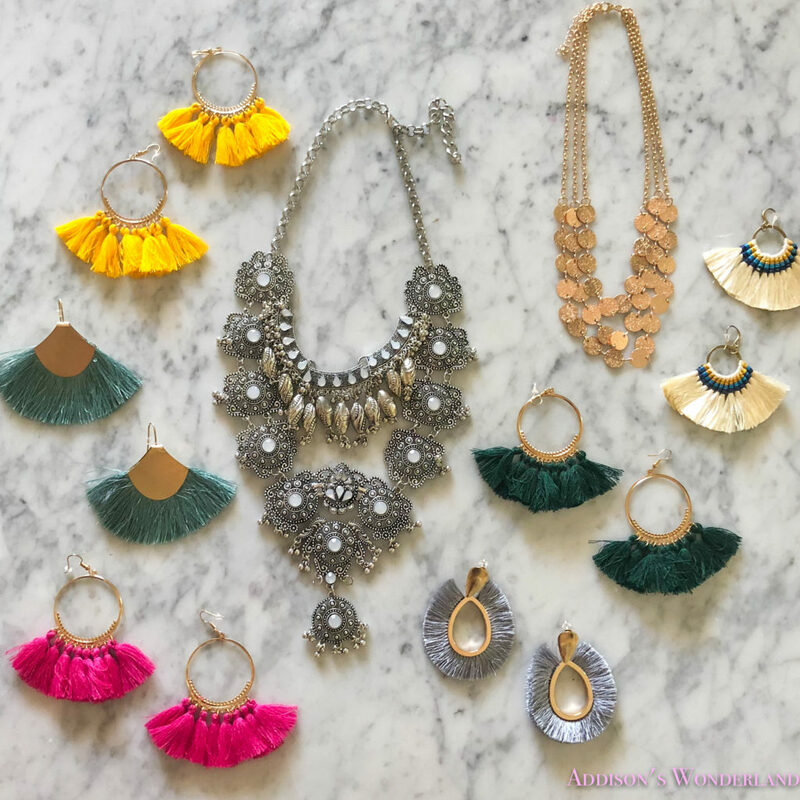 Today I am back with another of your faves… affordable fashion finds with Amazon and this time I am sharing jewelry too! 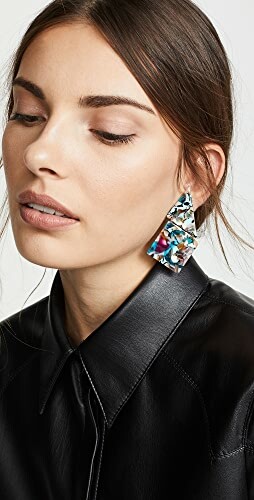 Accessory shopping on Amazon is a more recent obsession since discovering that they have the cutest and most affordable jewelry. First, let’s chat about my new bracelet stack. I always LOVE when women have beautiful layers of arm candy so I wanted a new stack for myself but didn’t want to spend too too much as those can add up FAST! 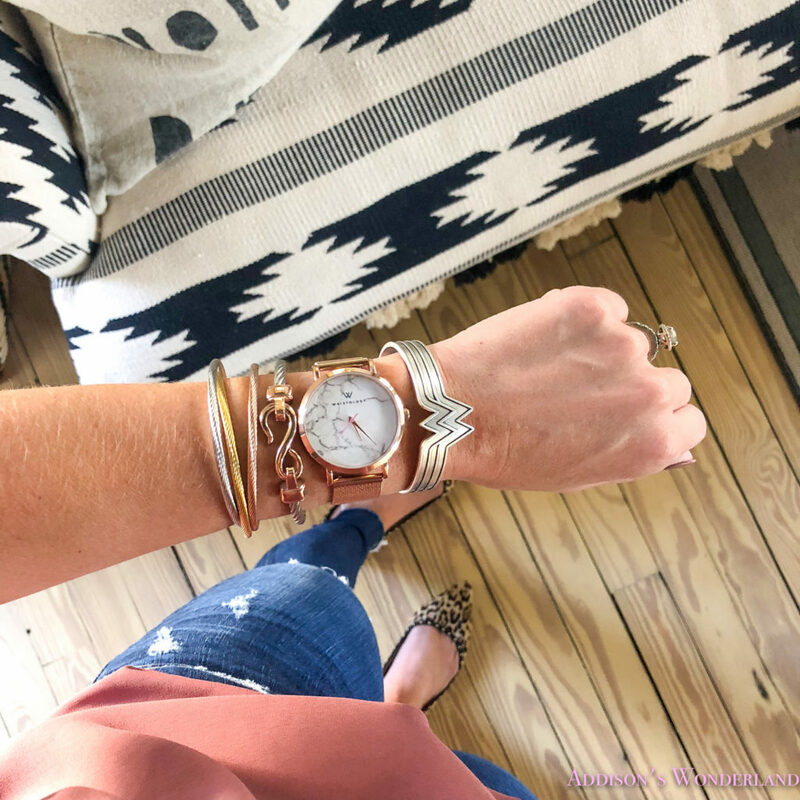 I found the prettiest pieces from this marble rose gold watch to this adorable Wonder Woman bracelet (because we rock right?!?) 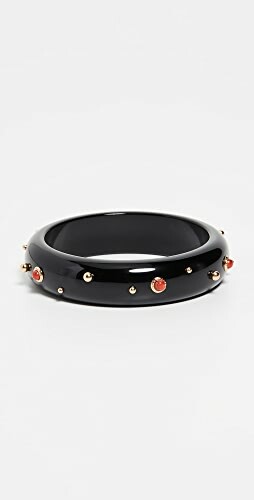 and this gorgeous designer inspired infiniti bangle. All together every single piece in this stack also including the triple gold/silver/rose gold bangle came to UNDER $175!!! That is a steal for such a designer looking set! P.S. If the link takes you to different options/colors that means the exact ones pictured are sold out! 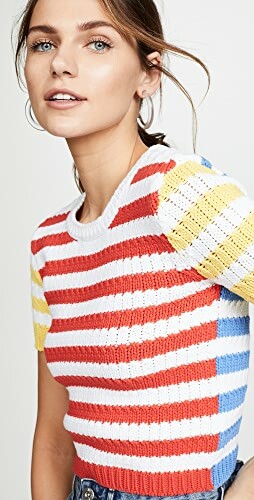 First up, this cute and cozy pullover sweater! You will need a layering tank underneath but that could also give it some fun, versatile looks! I do think it runs big and I wish I had sized down to an X-Small. 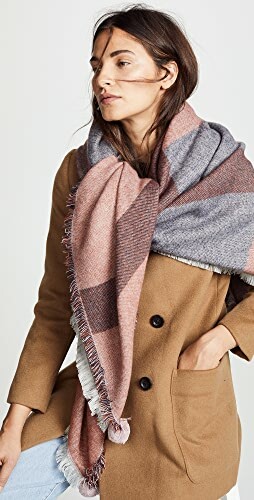 Depending on how you like to wear it, I think it’s very generous but that also makes it perfect as an oversized sweater with leggings too! It is definitely long enough in the back to cover your booty for leggings. 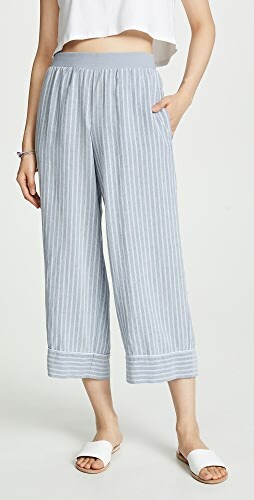 Quite possibly my favorite new find on this post! The fabric is sooo soft and it fits great. It runs very true to size and mine is a small. I love that it has pockets and once again is long enough for leggings. 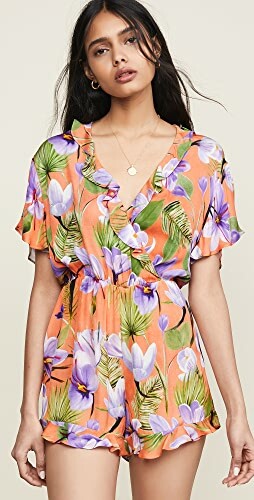 This top is a MUST HAVE! And last but not least, this cute henley style top. I cannot honestly say it was my fave or anything but I do like it a lot. I think it does run a tad small and the front part is pretty long which I thought was a bit awkward untucked. 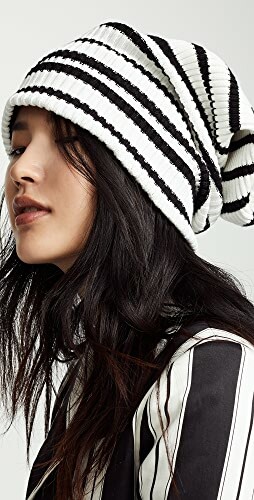 I paired it with leggings one day and tied the front up in a little knot and it was cute. 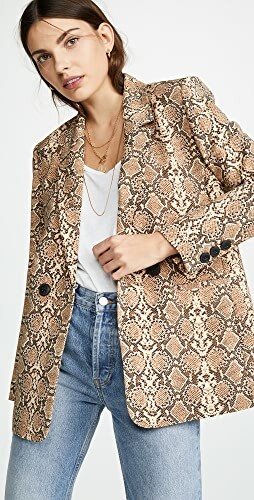 Mine is a size small and I kind of wish I had sized up! « My New Favorite Handbag… A Backpack Purse with eBay! Hope your surgery goes well! Thank you for these Amazon posts! 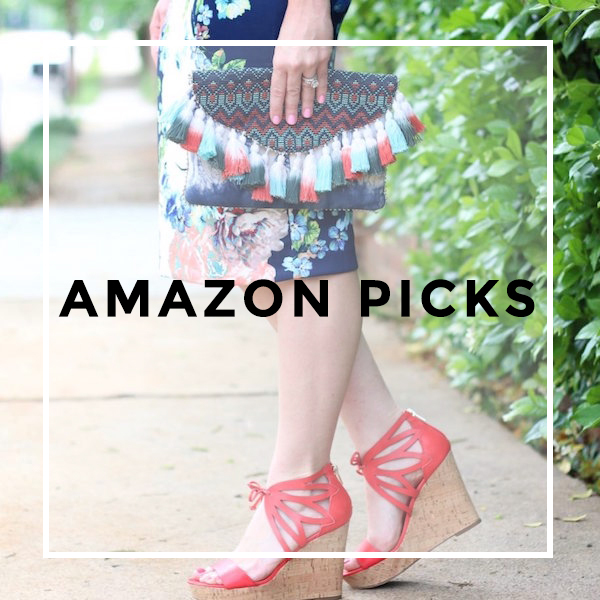 I shop Amazon all the time and this really saves me time and love your style!! Shop Casual White Maxi Dresses, Soludos Espadrilles, White Sleeveless Blouse, Red Bikinis and more. Get this widget.